Wonderful to be eaten alone or as toppings for pizzas, salads, and sandwiches! 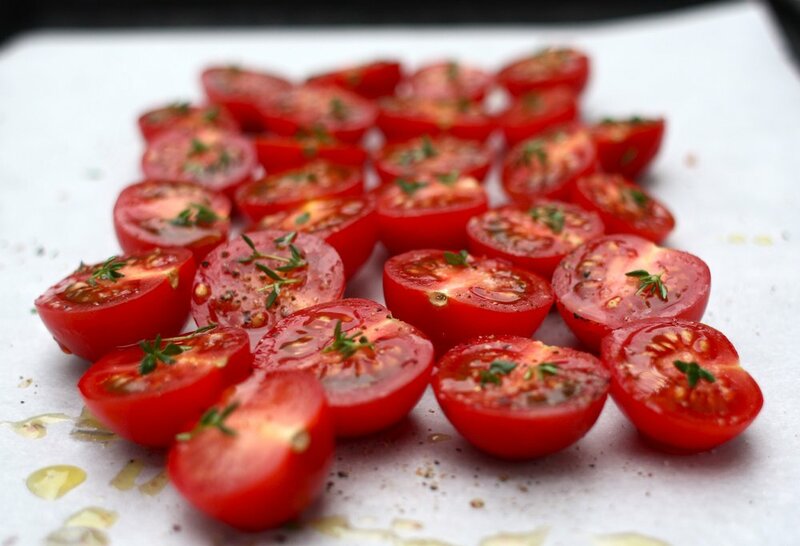 Toss the tomatoes lightly with olive oil on a sheet pan. Spread them out into one layer and sprinkle generously with kosher salt and pepper. Roast for 15 to 20 minutes, until the tomatoes are soft. Transfer the tomatoes to a serving platter and sprinkle with basil leaves and kosher salt. Serve hot or at room temperature.